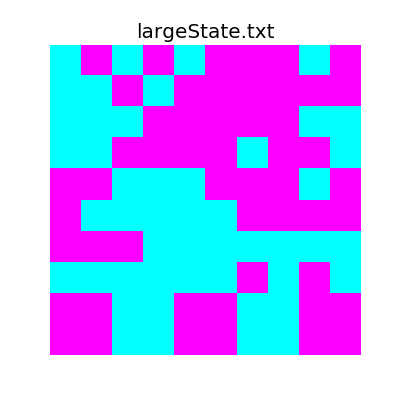 In this writeup we'll discuss two algorithms, simulated annealing and genetic algorithms, and show how they can be applied to the problem of drawing political boundaries while avoiding gerrymandering. This writeup is available on GitHub, or my personal website. First let's talk about our algorithms. Simulated Annealing and Genetic Algorithms are both methods of finding solutions to problems through simulations. In a nutshell, basically testing a large amount of semi-random solutions, looking at random combinations of our solutions, and then keeping the best that we encounter. The benefit of these algorithms is that we can relatively quickly approximate a good solution without much computation time. Our solution won't be "the best" unless we get extraordinarily lucky, however it will be a good approximation. What is a Fitness Function? Let's look at what the wikipedia page says on the matter. A fitness function is a particular type of objective function that is used to summarise, as a single figure of merit, how close a given design solution is to achieving the set aims. In other words, it's a single number that basically tells us how "good" of a solution we have. 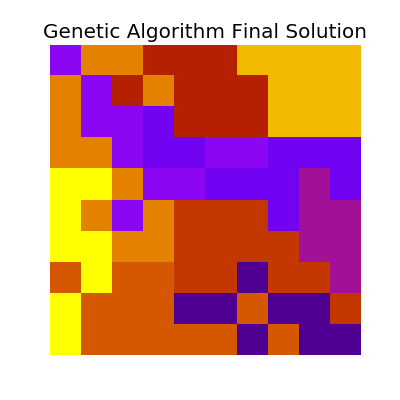 For our genetic algorithm and simulated annealing approach we'll want to maximize this number, thereby maximizing how "good" our solutions are. Simulated annealing can be defined as follows. Incomplete python code for this is below. Genetic algorithms are very similar, and the algorithm can be defined as follows. Again, incomplete code is below. Now that we know what these monsters are, we can dig into how they can be applied to solving a system. Which can be plotted for readability. And our other (larger) state looks like the following. This pattern will continue for the rest of the writeup, I'll talk about (and show) the smaller version first, and then follow up with the larger version. So in the context of our problem, we can examine how the code actually works. Each district is a Mask which provides an ease of access through abstraction. So basically how this works is we read in the file, creating a System instance, and then create an empty Solution instance to keep track of our changes. There's a lot of code here, and to be honest, it's more than is really necessary. The reason for it however, is so that I can abstract away the more complicated parts and just say something like solution.mutate() instead of digging into how or why the mutation algorithm works. This abstraction is why the code to do simulated annealing is so terse, abstraction makes algorithms terse. All indexing starts from the upper left point, which is at (0, 0), and all indices are (y, x) pairs. There's a hierarchy of the code, our system is represented by a System object, and each solution is represented by a Solution object, which consists of several Mask objects that provide a direct interface to each district. I like properties, so if something looks like it might be doing something complicated under the hood (like the value function), it probably is. While solving this problem, there are a couple sub-problems that we need to consider and solve. Our first big problem is how we find neighbors of a single point. For any (y, x) pair we can express its neighbors using the following algorithm. Start from the first pixel in the image. Set "curlab" (short for "current label") to 1. Go to (2). If this pixel is a foreground pixel and it is not already labelled, then give it the label "curlab" and add it as the first element in a queue, then go to (3). If it is a background pixel or it was already labelled, then repeat (2) for the next pixel in the image. Pop out an element from the queue, and look at its neighbours (based on any type of connectivity). If a neighbour is a foreground pixel and is not already labelled, give it the "curlab" label and add it to the queue. Repeat (3) until there are no more elements in the queue. Go to (2) for the next pixel in the image and increment "curlab" by 1. Which is implemented in our code as the following. 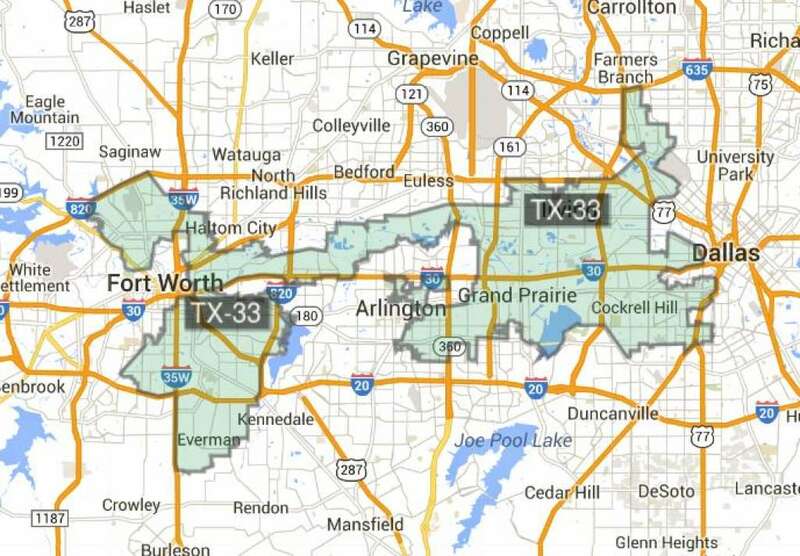 Another huge problem is we have to find all neighbors of a given district. This is incredible similar to the Connected Component Labelling process above. The basic algorithm is as follows. While the queue is not empty, get an new (y, x) pair. If the point does not fall into the district, add it to the list of district neighbors. Taking a step back from the code and considering the real world, let's think about what we'd ideally like to emphasize in a political districting system. We'd want districts to be homogeneous, i.e. each district is comprised of either all Republican or all Democrat voters. We want our district ratios to approximately match our population ratios. By this I mean, if we have 52% Republican voters in the general population, 52% of the districts should have a Republican majority, and vice-versa for the Democrat population. We want all districts to be around the same population size, i.e. there are an equal number (within reason) of voters in each district. We can design our fitness function to meet these criteria. The final fitness function that we use emphasizes the following qualities in its assessment. Make sure the ratio of R to D majority districts matches the ratio of R to D in the general population. 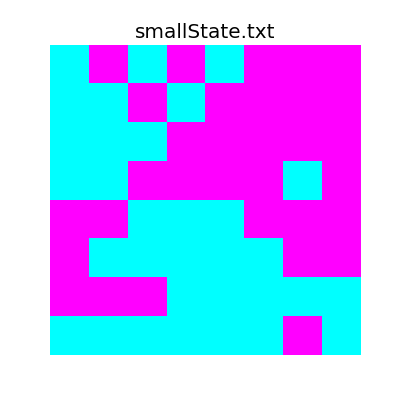 Reduce the value of the district if its size isn't close to the "ideal size", which is total_size / num_districts. This is our attempt to reduce the "squiggliness" of a district, however it's not perfect and squiggly districts still pop up. We also take into account that in non-homogeneous districts voters that aren't affiliated with the majority party might be swayed by targeted campaigns. To this effect we account each non-affiliated "zone" with a weight of -0.9 instead of -1. This algorithm is very straightforward. Generate a number of "spawn points" equal to the number of districts. The fill algorithm is also straightforward. Set a list of available districts. While there are any non-set points, pick a random district, i, from the list of available districts. Get a list of all neighbors of the district, but filter to only 0-valued entries. If no such neighbors exist, remove this district from the list of available districts. Otherwise pick a neighbor at random and set it to i. # forcibly fix this problem. We can see how this looks for our two different state sizes. Now that we can do all of that, let's talk about simulated annealing. The basic algorithm is as follows. If the new solution is better than the old, set the current solution to the new one. If the solution is worse, but random.random() < math.exp(dv / (k * T)), where dv is the difference between solution values, k is a set constant, and T is the current iteration value, accept it. 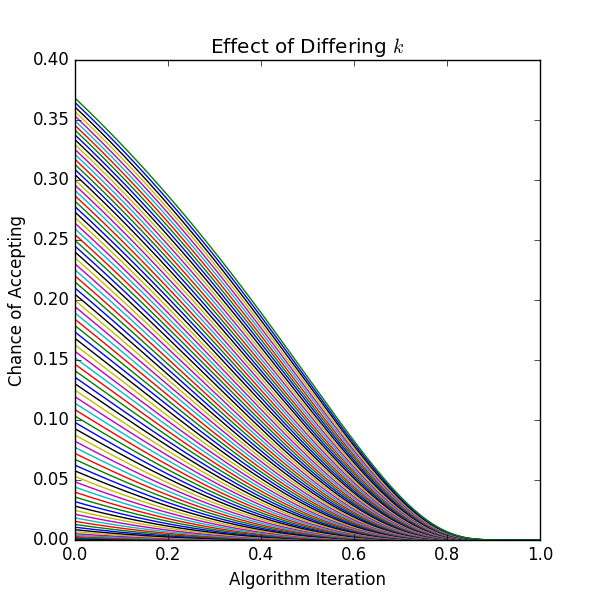 To show how choice of k effects the algorithm, we can plot this. Which has the following final solution. 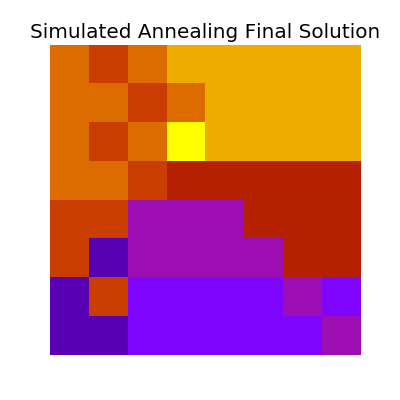 Much of simulated annealing rests on being able to find a valid neighboring solution to our current solution. We do this through a process I call "mutation", which simply flips a zone from one district to another, based on some randomness and criteria to make the new solution valid. The general algorithm can be thought of as follows. Pick a neighboring point at random. If the neighboring point's district has at least size 2, set this neighboring point to our district. Otherwise, pick a different neighboring point. Which can be visualized as follows. Instead of naively choosing just one random solution to start with simulated annealing, we can instead generate many initial random solutions, and then pick the best for our algorithm. This has the advantage of starting off from a better place, and theoretically have less "distance to climb". This algorithm is also straightforward, and is generally as follows. 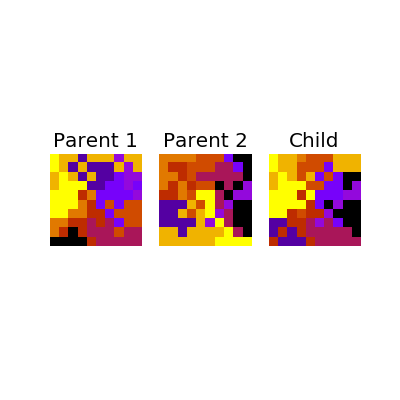 Generate a set of random "parent" solutions. From our parents, generate a large set of "children" solutions. Sort the entire population by their value. Set our parents to be the "best" of the current population, discard the rest. 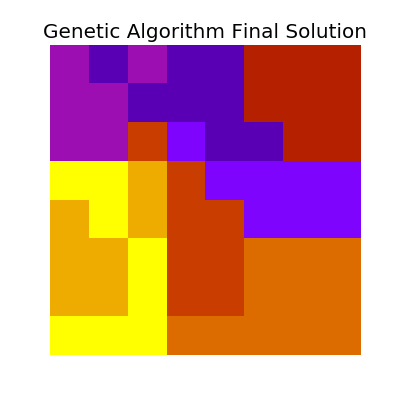 top_history =   # Keep history of our top solution from each "frame"
As simulated annealing relies on mutate() to narrow down on a good solution, the genetic algorithm relies on combine() to take two solutions and generate a "child" solution. We can think of the code as follows. Shuffle our two parents in an array. Shuffle a list of districts. Set a cursor that points to the first parent in the array. For the current district, find all points of the parent that our cursor is pointing to. For every point that matches between these two sets, make a new bitmask. The algorithm behind making a district valid is easy, if we have more than one connected component in a given district, pick one at random and discard the other connected components. Both of these approaches can be applied to solve incredibly complex problems with varying degrees of success, and much of their success hinges on how effective your evaluation of a given solution fitness' is. Then a final solution that we find is merely one of these peaks, so a re-run will not necessarily yield the same solution again. To get around this, we could theoretically run the code thousands of times, with different seeds each time, and then pick the best out of all runs. This will work for either python 2 or python 3. If you want to dig a little deeper, use the -h flag to see what it can do, but here's a short list as well. Do all of the above in one go. 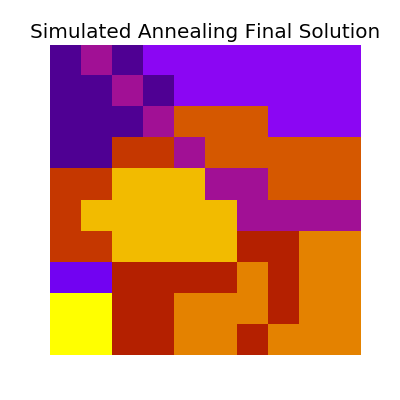 -a, --annealing       Use Simulated Annealing Algorithm? 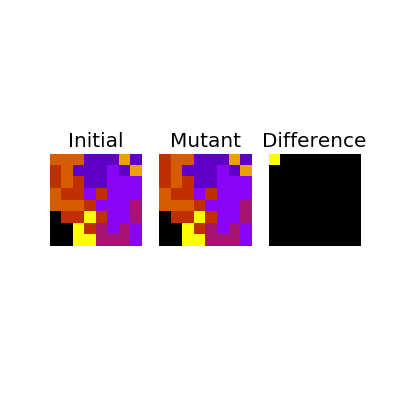 -g, --genetic         Use Genetic Algorithm? -j, --gif             Generate gif versions of animations? -F, --full            Generate everything. Report assets, SA, and GA. I want to do more for this project but I'm limited in the time I have. I do have a couple of ideas for next steps however. Parallelizing - Instead of just running simulations on a single thread, we could theoretically spin up a bunch of different threads and run simulations on them simultaneously, only keeping the best of all trials. Real Data - It would be amazing to take the approaches used in this writeup and apply it to real-world political data. A topic for a different blog post!